Hiring an afterschool nanny can be the perfect solution for parents of school age children that need help in the afternoons during the school year. An afterschool nanny can supervise your children during this latchkey period of the day. She can help with homework and other school assignments, can pick your child up from school and drive him to and from afterschool activities and can do some household tasks that can free up your time and energy in the evenings. An afterschool nanny can be a wonderful helper to the working parent. So what should you look for when searching for an afterschool nanny? Here are some important considerations when making a hiring choice. Does she genuinely enjoy working with this age group? Not every nanny is cut out to work with school aged children. Talk with candidates about the challenges that come with the age and get her input on how she’d handle those challenges. A good sense of humor, a lot of patience and the ability to really connect and communicate with kids are all important things to look for. What is her availability? Because many afterschool nannies are college students, it’s important to talk about what her availability is for your child’s school year, not just her semester. Even if her school schedule works with your needs right now, can she commit to only taking classes during school hours during the next semester? Hiring a nanny can be a pretty big task. It isn’t something you want to do every 3 or 4 months. Can she work during days off and school holidays? One of the advantages of having an afterschool nanny is that she can often provide all day care for your child during days off and school breaks. If this is important to you, find out how flexible her schedule is during those times. Some parents luck out and find a caregiver that makes work her scheduling priority and fits in her other obligations around your needs. Is she mature enough to handle the responsibility? Even though your child is older, caring for her is still an important and demanding responsibility. Your nanny will be responsible for keeping her safe, handling discipline and behavior issues in an age appropriate and positive way and dealing with any emergencies that come up. Make sure that she has the maturity to handle all the things that will be expected of her. Can she help your child with his homework? Helping a child complete daily homework and special assignments is a key responsibility for an afterschool nanny. Talk with her about her academic knowledge, especially in the subjects your child struggles with, her comfort level with providing homework help and her time management and study organization skills. Don’t assume that because she’s in college, she’ll be a great influence on your child. Many college students are struggling with ineffective habits themselves. Does your child like her? The personality match between nanny and child becomes much more important as your child gets older. Your child’s personality, temperament and interests become more and more defined each year, and your child will have a different connection to each potential candidate. While this shouldn’t be the only factor you consider, the relationship between your child and your afterschool nanny will greatly influence the success of the arrangement. Is she willing to do additional household tasks? Parents often look to their afterschool nanny for household help like grocery shopping, starting dinner, doing children’s or family laundry or general straightening up of the house. This extra help allows parents to stay on top of all the details that come with being a working parent. Before you begin interviewing nannies, decide exactly what tasks you want the nanny to be responsible for. By having a detailed list of expectations, parents can be sure that the nanny they hire is able and willing to tackle those extra responsibilities. Is she a safe driver? 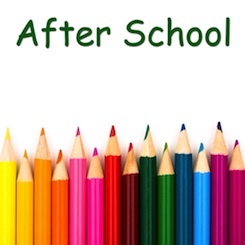 Many afterschool nannies are responsible for picking their charges up from school and taking them to and from afterschool activities. If your nanny will be transporting your child, discuss safe driving procedures with her and include a Department of Motor Vehicles check in your background check. Make sure she fully understands how to ensure your child is restrained correctly and she knows the weight and height limits for booster seats and front seat passengers. Is she within your budget? What an afterschool nanny will charge in your area will depend on many factors, including your location. Be honest about what you’re offering in both wages and benefits and work with potential candidates to find a wage that works for both of you. Afterschool nanny care can be a very affordable alternative to school sponsored afterschool programs and other options. Plus, you get all the other benefits that come with having someone working in your home.